This is the plan for Sponge Park. We pulled out the image above to allow a better view because it contains some interesting elements. 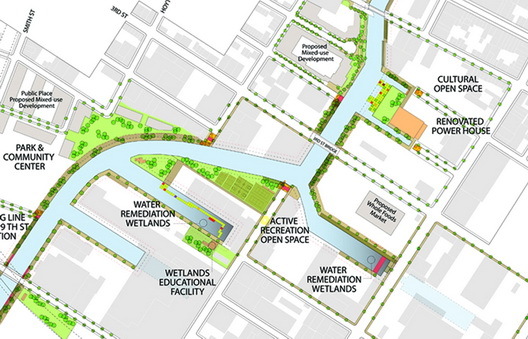 Of note, is the part of the park envisioned to surround the old power plant near the canal. 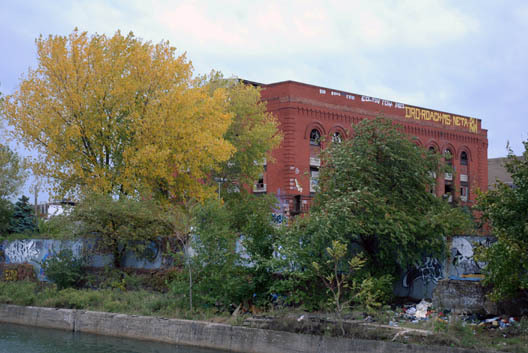 This is property that was proposed as Gowanus Village by developer Shaya Boymelgreen that is now back on the market for $20 million. The plan includes creation of new water features around the plant. The area above the plant (photo of the building, below) was once a turning basin for the canal that was filled in with unknown material. GL Analysis: Patty Lancaster is Gone, Now What?